Highly recommend this book. Very practical and applied, encourages praying for the church based on the promises and teaching of God. A useful book for oneself or to give to praying friends. Gives helpful points and reminders of how to pray creatively in a variety of situations especially when details are not known. The only problem with this book is that it wasn't written years ago. In over forty years as a parish minister I have met many Christians struggling with their prayer live and I wish that this book, and its companion title, had been available then. There are two great strengths in Rachel Jones' approach. The first is that she gets us praying. Praying teaches lessons about prayer which can never be learned by reading about it. The second is that it turns us to Scripture. 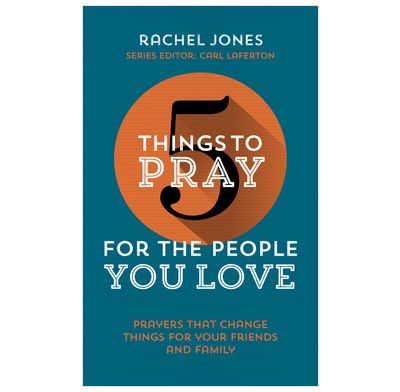 "All things necessary for God's glory and our salvation, faith and life" are found in Scripture and Rachel directs us to what God teaches us about prayer. This is praying God's will.